Be entertained, surprised, maybe even shocked! Where did house prices double in just seven months? What’s the secret behind China’s huge ghost city? … and for a limited time, we’re giving away this fantastic resource (value $198.00) to you absolutely FREE! Who is John Lindeman? Well he’s the market researcher that other experts go to for all their investment insights and widely respected as one of Australia’s leading market analysts. 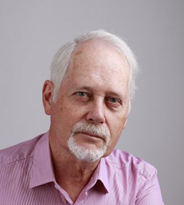 With well over a decade of experience researching the nature and dynamics of various types of assets at major data analysts, John regularly provides presentations, commissioned reports and other research services on the nature and direction of the investment market. 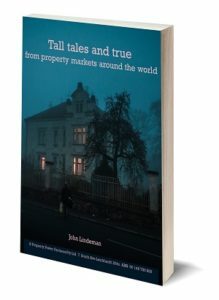 “Tall tales and true” is more than just a highly entertaining and informative read. There are stories to learn from, and valuable tips that that will help make your own property investment journey a great success. Your free ebook will be sent to you as a .pdf file in an email available for instant download. The free e-book is provided by Property Power Partners Pty Ltd (ABN 90 146 786 889). The information contained in Tall tales and true does not constitute specific financial, accounting, tax, legal or other similar type advice. We strongly recommend that you liaise with your own financial, legal, accounting and other advisers to ensure that the concepts contained therein can be tailored to your specific needs. John Lindeman and Property Power Partners Pty Ltd do not hold financial services licences, do not purport to offer financial advice, and do not accept liability for any loss, damage or expense incurred by you if you rely on or utilise any of the methods, techniques or ideas contained in Tall tales and true.